I usually scroll thru regularly. Now the "Latest Adds" is showing nothing. That was the only way to tell new adds. Is that the new normal? Kind of a PIA if so. Griff, skater, ROCKETMAN and 3 others like this. 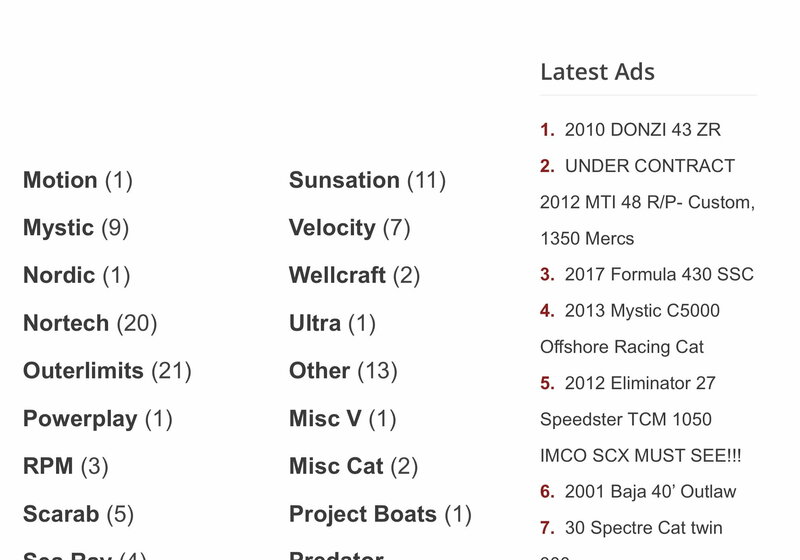 Noticed that too yesterday along with only 355 boats listed. I remember the days of over 1K. They still have the column down the right hand side showing latest ads but that's for emergencies. Last edited by rak rua; 12-07-2018 at 07:43 AM. They need to go back to the old way if this is the new way. I too looked at it every day or two, don't like how it is now. +1, one of my favorite parts of the morning seeing the latest ads. [QUOTE=rak rua;4662623]They still have the column down the right hand side showing latest ads but that's for emergencies.